I'm always looking for ways to make my beauty regime more natural and haircare is undoubtedly one of the most difficult areas in which to do this. With this in mind, I was excited to try Living Nature's Nourishing Conditioner. The 100% natural brand hails from New Zealand and although I'd heard of it before, I wasn't familiar with the range. During the course of my research I was impressed to note how extensive the range is, with over 120 products. I really like the concept. The products are inspired by native plants from New Zealand, which due to its unique geographical location is home to 85% plants found nowhere else on earth. 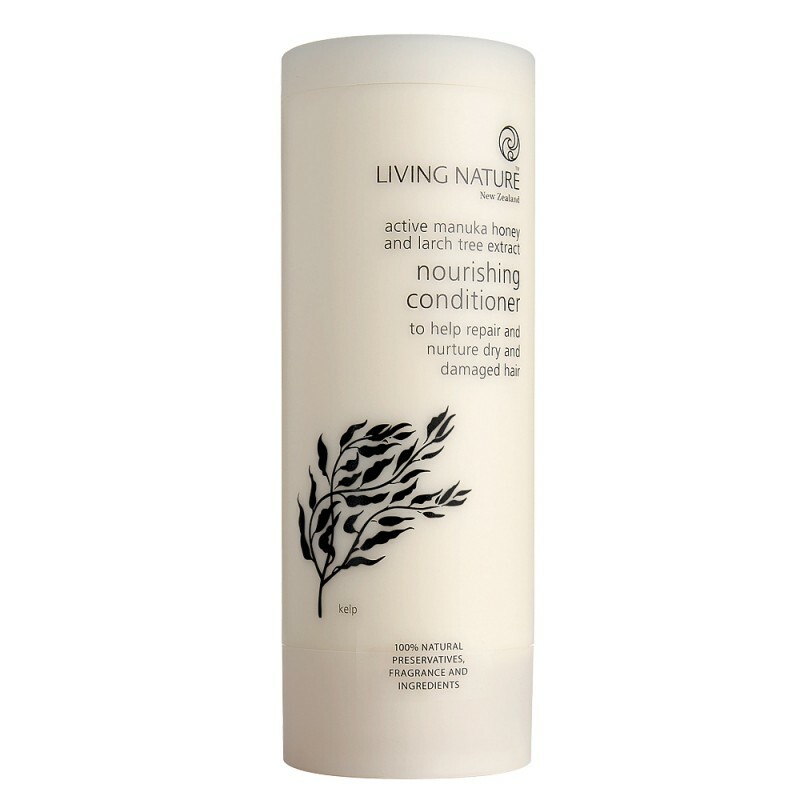 Living Nature Nourishing Conditioner contains Active Manuka Honey and Larch Tree Extract to moisturise. The packaging isn't much to look at- it's a little basic for my liking and frankly, feels a little cheap but it's functional nonetheless with a handy flip top lid for easy dispensing. I liked the creamy yet lightweight texture of this which meant that it was easy to apply evenly. The scent is quite a strong, botanical fragrance which I suspect would be offputting to many. Having said this, I couldn't detect it once my hair was dry. My big problem with this is that I found it incredibly difficult to rinse out and even when I was sure it must have washed out, I could still feel a residue in my hair once dried and styled. I wanted to give this a fair test so stuck with it for as long as I could bear but sadly, it just wasn't for me and I couldn't wait to end the trial. At over £10 for 200ml, I find this overpriced and feel that you'd be better off investing elsewhere. However, I still feel that their skincare might be quite good so perhaps worth checking out if you did want to try this brand. I'd love to hear your thoughts.